See this full post HERE. 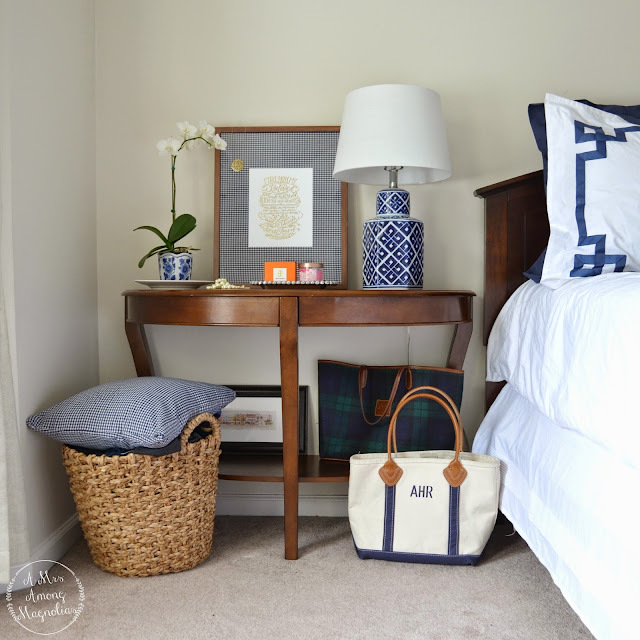 The LL Bean Boat and Tote is one of my favorite go-to's. 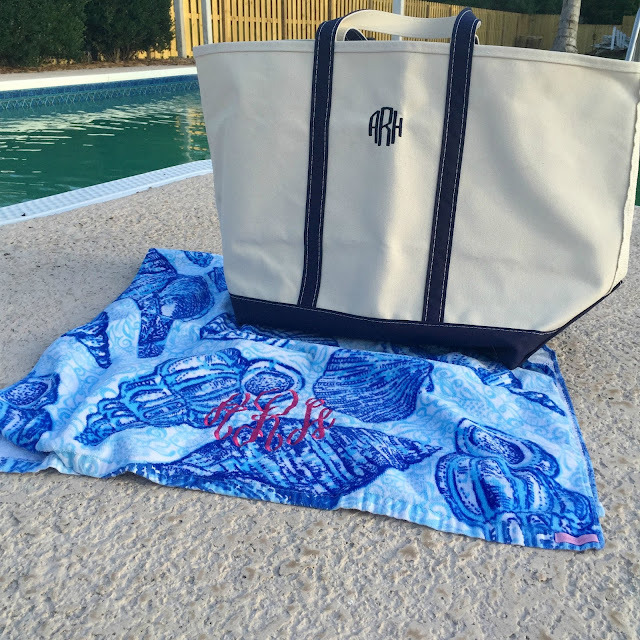 It is perfect for my every day errands, but it also will hold up for beach days and vacation. I have had the medium green tote for about 10 years now. Its a little dirty and a little faded, but other than that it has held up just like the day I got it. 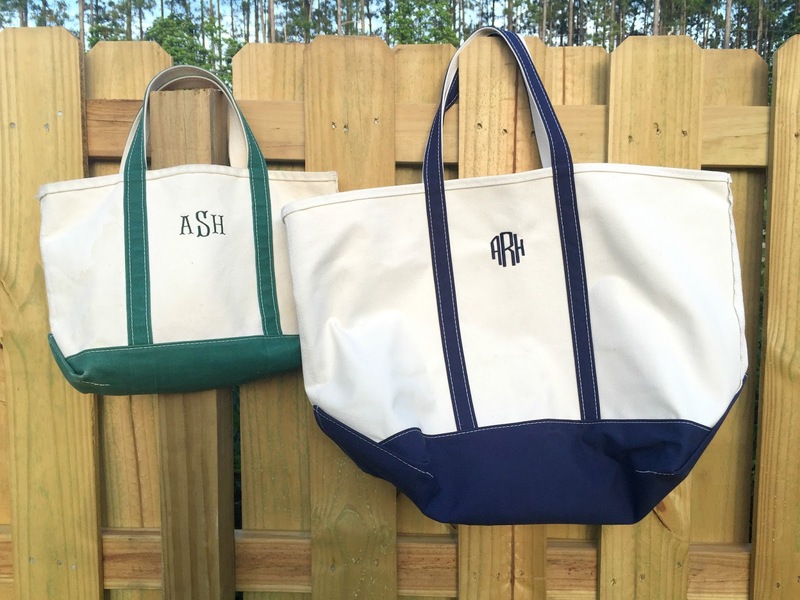 This past Christmas, I finally upgraded and got a Boat and Tote II with my married monogram on it. I love the look of the leather handles! With summertime already here, I decided to order myself a larger boat and tote that I can take on vacation. I debated between the Large and X Large for a few days. I ended up getting the X Large, and I must say I am thrilled my my decision. I love that LL Bean makes their totes right here in the USA, and supports American workers. Here is the difference between the Medium (left) and the X Large (right), both with the regular handles. If you are looking for a versatile tote that you can use for ages to come, I would highly recommend the Boat and Tote. 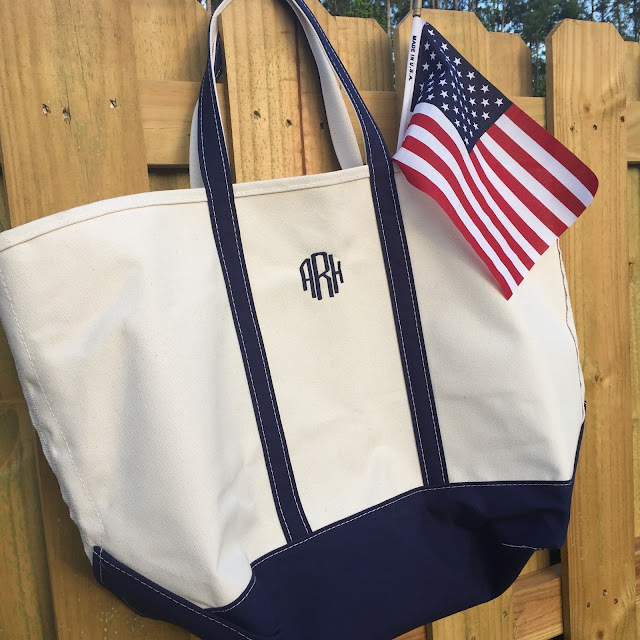 For about 40 bucks + monogramming it is a wonderful value for the tote you are getting.